Olez Moisture & Strength Conditioner contains Alpha Keratin, Cupuacu and Muru-Muru which help to detangle hair, prevent split ends and hair damage, and maintain hair hydration and manageability. Perfect for all hair types. 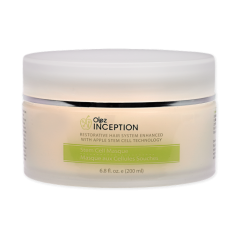 Conditioner is paraben free, which helps extend the duration of color and Keratin treatments. Apply Moisture & Strength Conditioner after shampooing, comb hair, and leave in approximately 2-3 minutes and rinse. AQUA, GLYCERIN, CETERAL, ALCOHOL, BHT, ORBIGNYA OLEIFERA OIL, METHYLCHLOROISOTHIAZOLINONE AND METHYLISOTHIAZOLINONE, ELAEIS GUINEENSIS OIL, BUTYROSPERMUM PARKII BUTTER, AMODIMETHICONE, CETRIMONIUM CHLORIDE, THIDECETH-12, PATHENOL, DIMETHICONOL, TEA – DODECYLBENZENESULFONATE, ASTROCARYUM MURUMURU SEED BUTTER, THEOBROMA BICOLOR EXTRACT, TRITICUM VULGARE GERM OIL, POLYQUATERNIUM-7, HYDROLIZED KERATIN, ALPHA KERATIN, PARFUM, TRIDECYL TRIMELLITATE, ETHYLHEXYL PALMITE, CELL CULTURE EXTRACT, CITRIC ACID.